Cue the music, because you're about to bust out an epic Moonwalk that would even impress Michael Jackson himself! But to really pull it off you need some showmanship, the kind nobody has ever dared. Wearing two gloves? Totally ordinary, but when you wear one, it's going to really stand out. Now, cover that one glove with jewels and you've got an iconic piece of history literally on your hand. Your dance skills are sure to skyrocket as soon as you slip on the glove. And once you put on that fedora, you'll know a little bit more about what it is to be a pop legend. 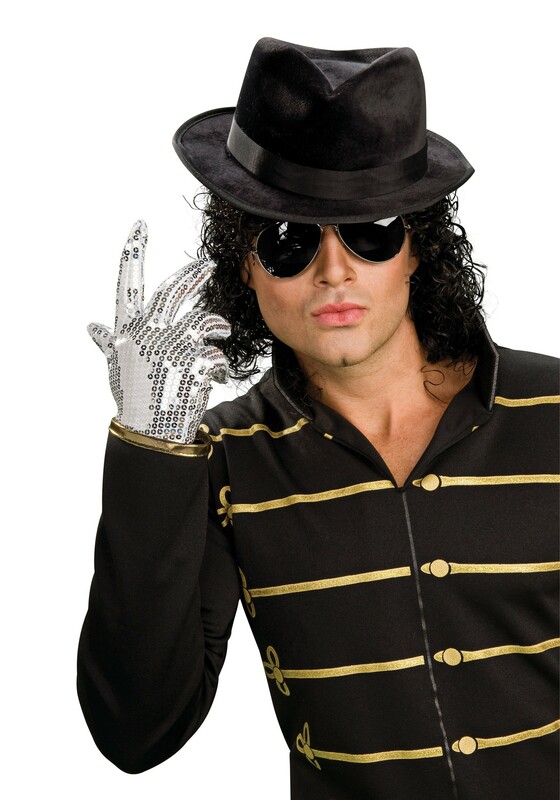 This officially licensed Michael Jackson glove is what you need to make your costume complete this year. Now, can we ask one favor? Teach us how to do the Moonwalk? You make it look so easy! There's no better time than Halloween to nod to good ol' Michael Jackson, after all, where would we be without Thriller?